Rasp Set (3 Piece) is rated 4.7 out of 5 by 10. 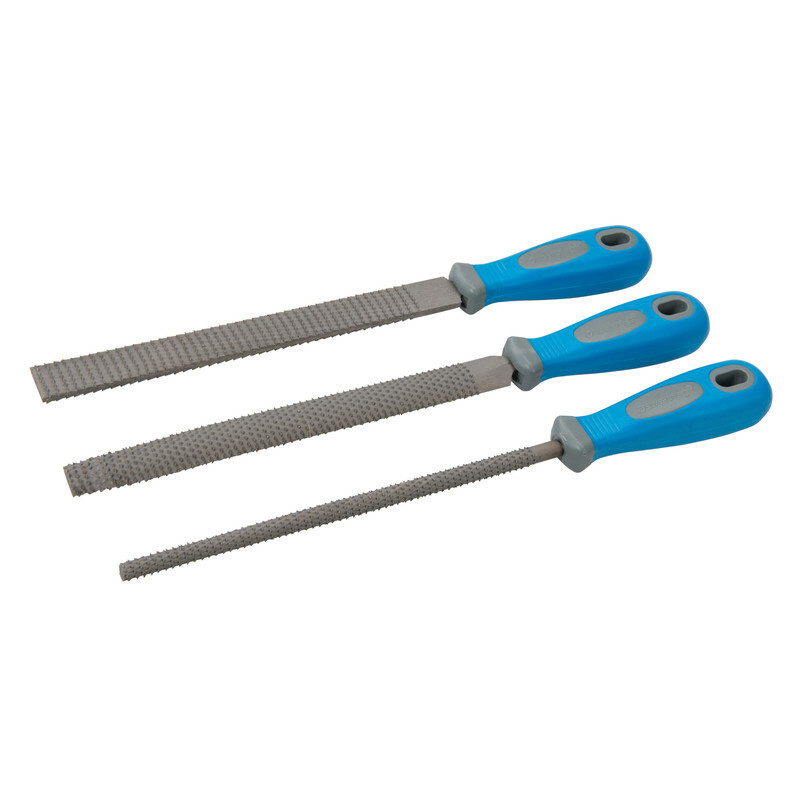 Rated 5 out of 5 by Mickywill from Good value tools Bought these to help with fitting skirting and they did the job very well ended up with tight fitting snug joints with no gaps would definitely recommend. 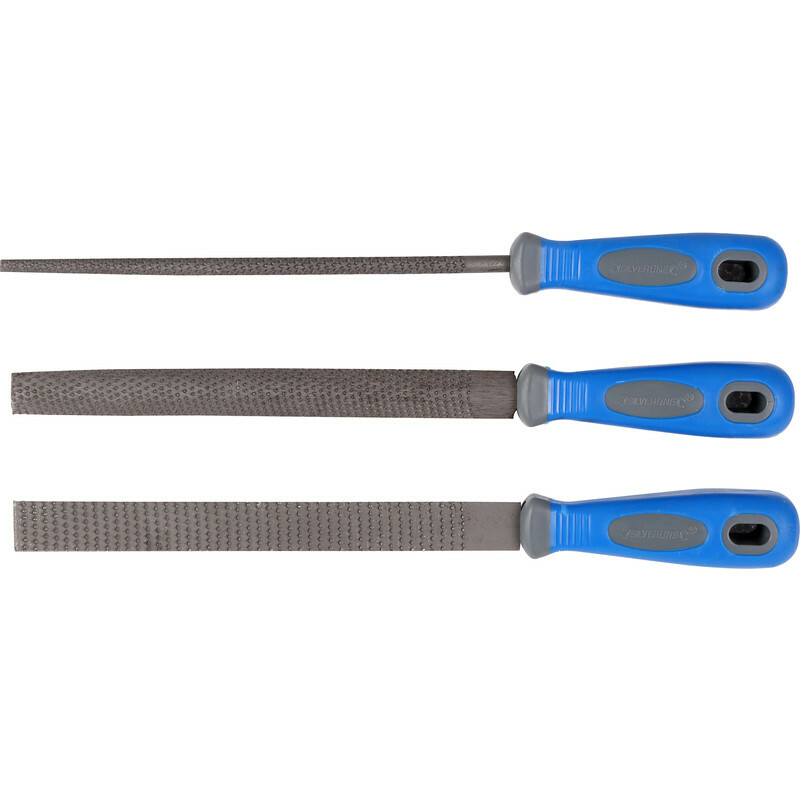 Rated 3 out of 5 by Stomper from OK for a economical rasp set This set was a good price and as the rasps do not last that long they tend to be disposeable tools . That said on the one I've used so far it takes effort to remove any amount of wood as the rasps don't seem that sharp and I've bent the handle by pusing to hard but it bent back ok . Not as good as my last cheap set but good value . Rated 5 out of 5 by JA99 from Big improvement on my old file set Have struggled with old worn out files for too long. At this price I don't know why I didn't order sooner. Worked well for shaping holes in kitchen cupboards. Rated 5 out of 5 by Bloke69 from Great value for money Paid someone to router out my worktop joins but he didn't do the greatest of jobs. Bought these to tidy things up and they done a fantastic job for me and what could have been a disaster turned out spot on after some careful fine detailing. Rated 5 out of 5 by ALittleBuck from Does the job Bought these to rough-out the shape of a wooden toy I am making and they do the job perfectly - why pay more?